 Alvarenga, Herculano M. F. & Höfling, Elizabeth (2003). 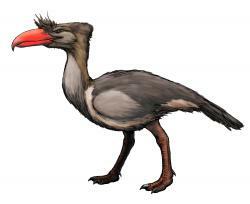 Systematic revision of the Phorusrhacidae (Aves: Ralliformes). Papéis Avulsos de Zoologia43(4): 55-91.